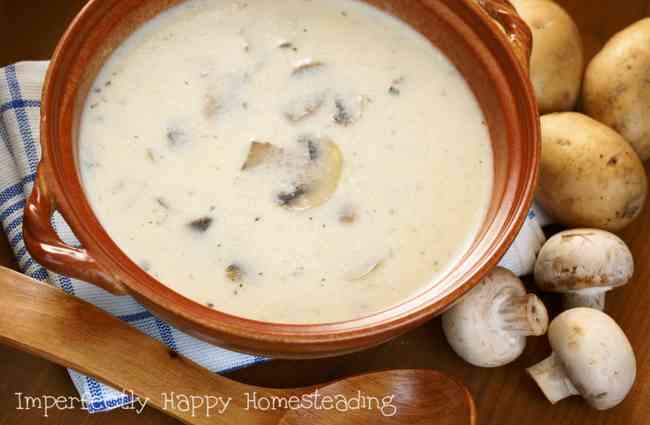 I am so excited to share my recipe for gluten free cream of mushroom soup. When I first got married, 22 years ago, I prided myself on how many different recipes I could make out of Cream of Mushroom soup (poor man’s stroganoff, chicken and rice, tuna casserole…). My grandmother had handed down a lot of her recipes to me over the years and they were easy to make and yummy to boot. My kids still ask for them on a regular basis. But as our diet changed and I started to become more aware of the ingredients in the foods we ate, I wasn’t too happy with the canned soups from the store. Even later, when I discovered my intolerance to wheat, I couldn’t even buy the “healthier” options. For awhile I was resigned to not make some of our favorite comfort food dishes, much to the displeasure of the family. However, I believe I finally have an amazing gluten free cream of mushroom soup recipe that is a perfect substitute; and it is awesome just to have a bowl full of it too. Simple, real food ingredients and quick to make; I think you’re going to be pleasantly surprised how much you’ll like this homemade recipe. Oh, and it is low-carb too for those watching your carbs. 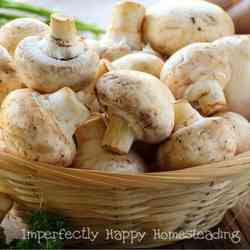 The recipe calls for button mushrooms but feel free to get creative and try different varieties! Buttons are great but a shiitake will give you a richer flavor. 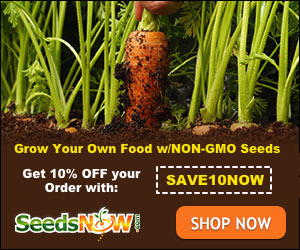 Or mix several varieties for something truly unique! At the bottom of the post you’ll find a printable version of the recipe. Saute the mushrooms: Heat coconut oil on medium-high heat large pot or dutch oven. Once your oil is melted and hot add the butter and keep it moving until melted. Once the butter is melted add your chopped mushrooms and coat them completely in the butter/oil mixture. Continue cooking the mushrooms until they’ve browned slightly and most of their moisture is gone. This should take about 8 – 10 minutes. Reserve one cup of the sauteed mushrooms in a bowl for later use. Add the garlic and white onions to the pot and reduce the heat down to medium. Stir to incorporate them. Add salt, basil and chicken stock to the pot. Bring the heat up to get the mixture to a simmer and allow it to cook for another 10 – 12 minutes. Puree the soup until smooth. This is best done with an immersion blender but any good blender will do. You may have to work in batches if your blender is small. Add more stock if you feel the soup is too thick, optional. Returning the soup to the pot and add in the reserved mushrooms, black pepper and heavy cream. Whisk gently over low to medium heat. Now it is ready to fill up your bowls or use in your favorite recipes. Note: if you plan to freeze or can this do not add the heavy cream until you’re ready to cook. And there you have it, scrumptious (and easy to make) gluten free cream of mushroom soup recipe. Yum! I never used to be a fan of mushrooms but here lately I’ve been adding them to everything! Thanks for sharing this awesome recipe! Can’t wait to give it a try. Can I use whole evaporated milk? Do you use 2% just for the lower calories or another reason? Can’t wait to try this!!! THANK YOU! I’ve never tried that, I don’t think it would produce the same results. You know I have never measured it out by servings; I’ll try that next time.